The Bruno mattress has now come to the UK, after a big success in their mother country, Germany. It is another ‘mattress in a box’ proposition so I was really keen to try it out. 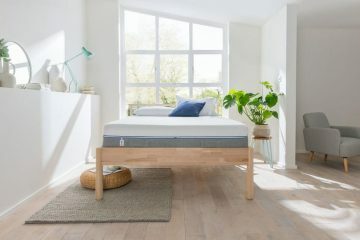 In this Bruno mattress review, I will talk in detail about it and whether it’s worth your money. I received my mattress a few weeks ago, delivered in a white box. 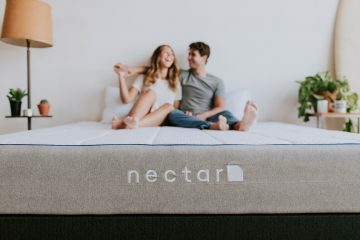 It’s a latex mattress, the first one I review here, so it behaves and feels a bit differently compared to the memory foam and hybrid mattresses I have reviewed in the past. It’s time now to move to the full review below. Top Layer: A natural latex foam layer which provides the body with the needed support and comfort. It also allows airflow and has a temperature regulating ability. That means that it can keep you cool during the summer and warm during the winter. Update: Based on customer feedback, Bruno applied two slits near the shoulder area to alleviate the pressure points there. 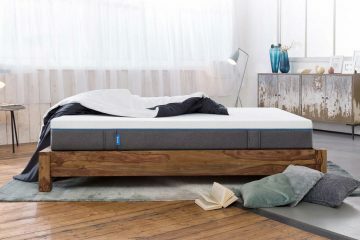 Bottom Layer: A BrunoX high-density foam which is essentially the base of the mattress and offers the needed stability. This layer features a 7-zone system that is designed to offer more support where it’s needed and less support where it is not needed. This is a very ‘smart’ system which really impressed me as it helps a lot with the correct spine alignment. The total thickness of the mattress is 24cm which is the average for a rolled one. You can see how the layers are placed in the below image. The cover of the Bruno mattress is made of a polyester fleece blend which feels nice and looks very practical. It does the job, so don’t expect anything fancy but it definitely feels of good quality, something you would expect from a German product. The top quilted part of the cover is fully removable and you can machine wash it. There is a zip for easy removal. This is very practical and it’s quite easy to maintain the sleeping surface clean and fresh. 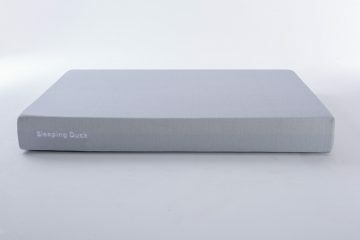 The bottom of the cover features 4 handles that are there to help you move the mattress where you want. The design follows the trend with the two-coloured covers. The top part is white with the sides having a graphite colour. Overall, Bruno did a good job with the cover. 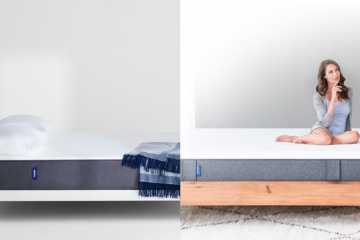 The Bruno mattress is one the firmest mattresses I have reviewed so far. I would say it feels like a medium-firm mattress which makes it ideal for heavier people. Having said that, Bruno is also good for regular people and it’s not a speciality mattress. If I put this to my virtual firmness scale, with 10 being very firm, I would say that the Bruno mattress is a 7. I will now talk about the three main sleeping positions and how this mattress performed in each one of them. Starting from the back position, I felt properly supported by the mattress and the sinkage was minimal. 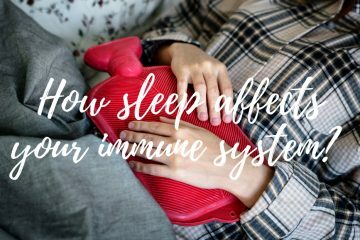 That means that you don’t feel this ‘hugging’ feeling that you get from other memory foam mattresses. This is not a negative thing, it’s more a matter of preference I would say. On the other hand, I felt that the latex adds a bit more bounce which is something I liked. Turning to the side position, sinkage increased which helped to maintain the good spine alignment. I felt though that my hips were a bit higher than they should be and it was a bit uncomfortable for me. It’s the position where you feel mostly the firmness of the Bruno mattress. Finally, turning to the stomach position I felt well supported and it was probably the most comfortable of the three positions. My hips were in the right place and in general, I felt that my body was getting the needed pressure relief. As you know I am a stomach sleeper so this was very pleasant for me. As for the edge support, the mattress is very solid construction and you will get good performance from every corner of it. Overall, the Bruno mattress did a good job providing my body with both support and pressure relief. However, it didn’t perform well in the side position and I wouldn’t recommend this to side sleepers. 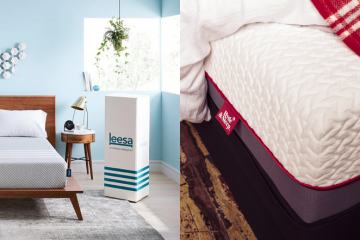 If you are one and you look for a mattress that behaves similarly but performs way better in the side position then you should look at the Leesa mattress. 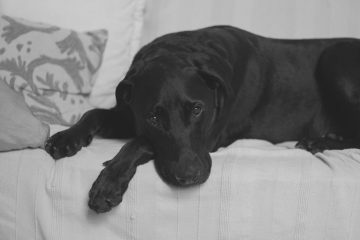 If the side position is not that important for you and you like a firm mattress, then Bruno can be a good choice. 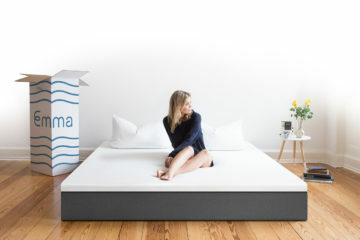 The Bruno mattress is designed to work with any bed frame or you can even put it directly onto the floor. If you use a slatted base, the manufacturer recommends that the gaps do not exceed 7cm. The mattress is available in many different sizes, including EU sizes, so don’t worry if you have an IKEA bed frame, you can still use it! The Bruno mattress is delivered in a white carton box. 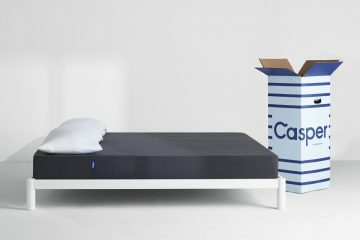 The size of the box is different for each mattress size. So the bigger the size you order the bigger box you will receive. They offer a Free Delivery service for all weekdays but if you want a Saturday delivery you will have to pay an extra £35. Also, if you want your mattress delivered before noon, you will need to spend £10. 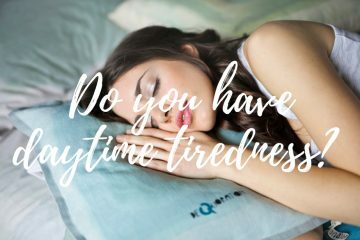 You should expect your mattress to arrive within 1-3 days after you have placed your order. My mattress arrived in 2 days and the courier was very polite. He didn’t help me place the mattress in my room as they don’t offer this service. Overall, Bruno did a good job here. The Bruno mattress comes with a great guarantee which is 10 years. That says a lot about the confidence about their products. Bruno also comes with a 101 night trial period which is one night more than the average! I guess they wanted to get the edge there. If you are not happy with your mattress then you can return it. You will have to contact their customer support department and they will send you a returns pack, containing some plastic wrapping. You will have to wrap your mattress with it so it’s ready for collection. Once the collection is complete, they will refund you the full amount within 2 weeks. You don’t need to keep the original packaging to return a mattress. Overall, Bruno offer a good service here. 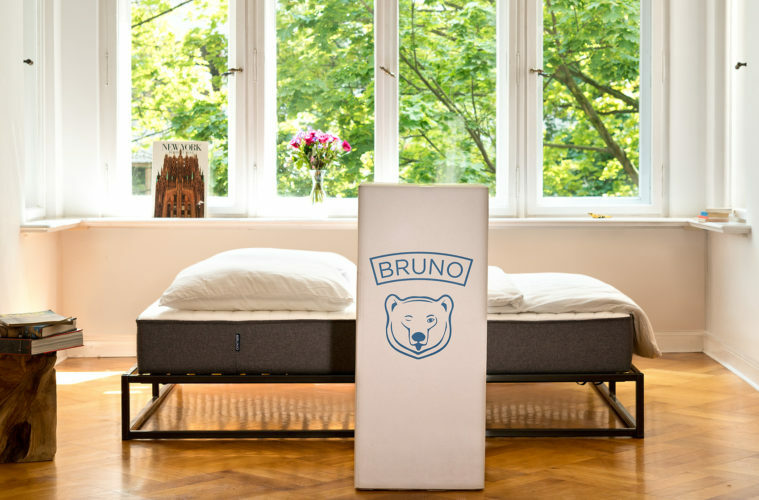 The Bruno mattress is available in 7 sizes, including the EU ones. The smaller UK Single sells for £385 with the largest Super King one going for £775. In the table below, you can find the full pricing list. 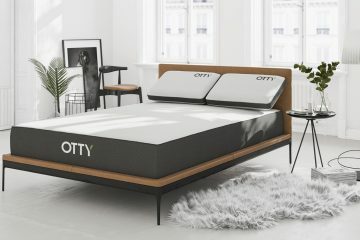 IS THE BRUNO MATTRESS FOR ME? A natural latex mattress which feels firmer than the average mattress and is ideal for someone with a heavier weight. 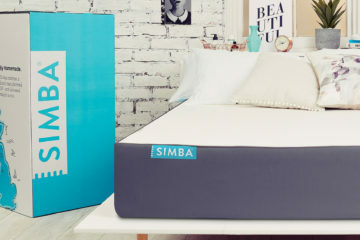 A mattress that has a great cooling system and manages to maintain a low temperature even during the hottest nights. 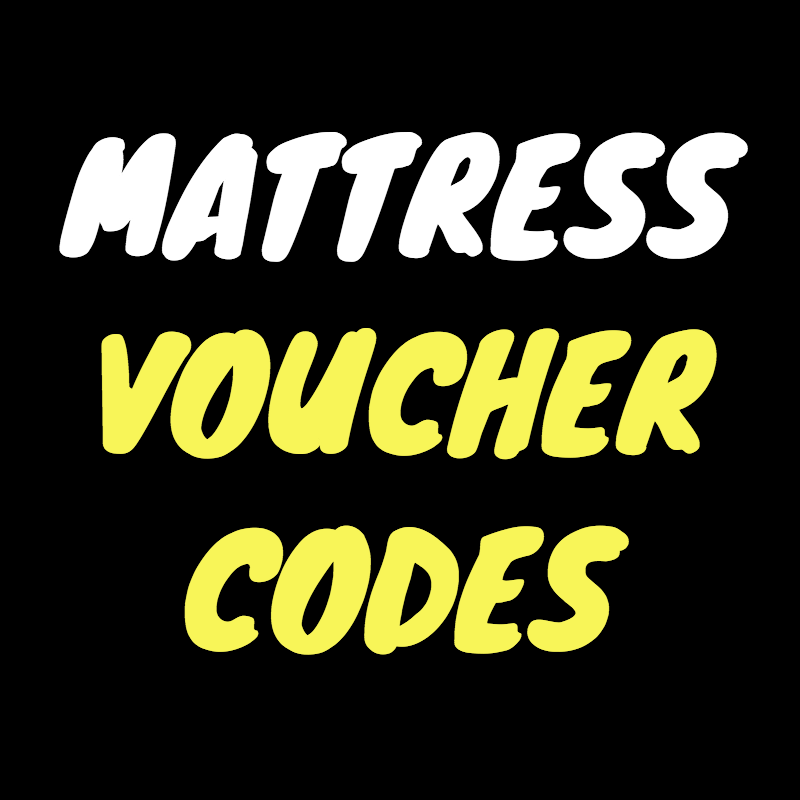 A mattress made and designed in Germany that comes with great service and customer support. 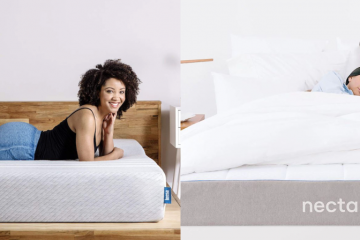 If you are looking for a quality latex mattress and you prefer to sleep on your back or stomach, then Bruno should definitely be your first choice. It comes at a fair price, it features the latest technology and is made of high-quality materials. If you are a side sleeper, you should look elsewhere but if not then Bruno is a good mattress. If you have any questions regarding this review, drop me a line here.